I've said it before, but it bears repeating: nothing can quite match the experience of seeing a big, flashy fantasy film like "Harry Potter and the Order of the Phoenix" on the Very Wide Screen at Powell Hall with the orchestral score performed live by the fine musicians of the St. Louis Symphony Orchestra. The showing this weekend (April 12-14, 2019) was the latest entry in the SLSO's complete Harry Potter film cycle. 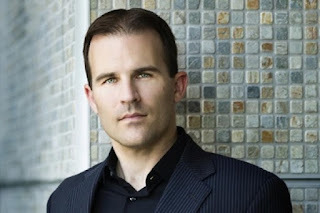 As has been the case for the earlier programs, the orchestra was conducted by composer and film music guru Justin Freer whose company, CineConcerts, produces the Harry Potter film series. Once again, the quality of the print was excellent, with crisp, clear dialog tracks and captioning for the hard of hearing. It looked great on that big screen. In this 2007 film, directed by David Yates, a dark tide is rising in the wizarding world. Key positions of power are being taken over by members of a fascist cult whose leader demands absolute personal loyalty while giving none in return. Their campaign of fear, paranoia, fake news, and racial animus threatens to tear the magical realm apart. 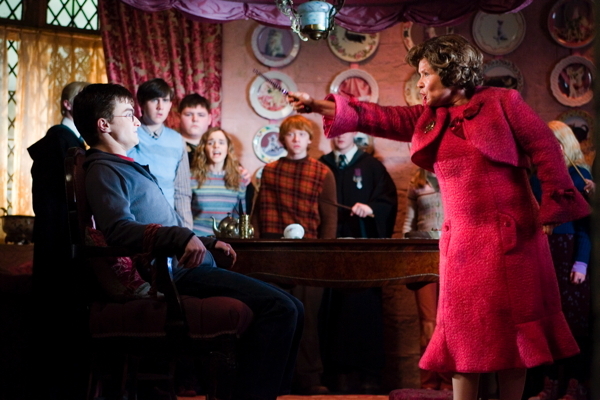 The Order of the Phoenix, under Dumbledore's leadership, hopes to stop them. These days it all looks rather prescient, although when J.K. Rowling wrote the original novel on which the movie is based back in 2003 she wasn't trying to predict the future so much as recall the past. The tropes of fascism haven't really changed that much since the 1930s. The score for "Harry Potter and the Order of the Phoenix" is the work of British composer Nicholas Hooper. It was his first high-profile project and to my ears it lacks some of the more interesting orchestral details of the ones John Williams wrote for the earlier movies. Still, it has the heroic sweep and eerie touches that are the hallmarks of the Harry Potter films and the darker orchestration mirrors the more ominous look and feel of the movie. The use of Japanese Taiko drums in the percussion section adds serious muscle to some dramatic moments, and the strings are more prominent throughout. I also like the way Hooper uses the higher orchestral voices (woodwinds and strings, primarily) to accompany the sadistic Dolores Umbridge, the Defense Against the Dark Arts teacher who is clearly more interested in practicing those arts than fighting them. Her music suggests that, evil as she is, she is also a fool. It's a nice touch. As have noted in the past, Mr. Freer conducted with the assurance of someone who is entirely comfortable with the unusual demands of leading a large orchestra through a synchronized account of a film score. The musicians responded with the kind of virtuosity that is standard procedure for them. The night we attended, the ovation was long and enthusiastic. Next at Powell Hall: Leonard Slatkin returns to conduct the St. Louis Symphony Orchestra and Chorus Saturday at 8 pm and Sunday at 3 pm, April 27 and 28. The program consists of Loren Loiacono's "Smothered by the Sky," Rachmaninoff's Piano Concerto No. 1 with soloist Olga Kern, and Bernstein's Symphony No. 3 ("Kaddish") with narrator Charlotte Blake Alston. Performances take place at Powell Symphony Hall in Grand. Center.